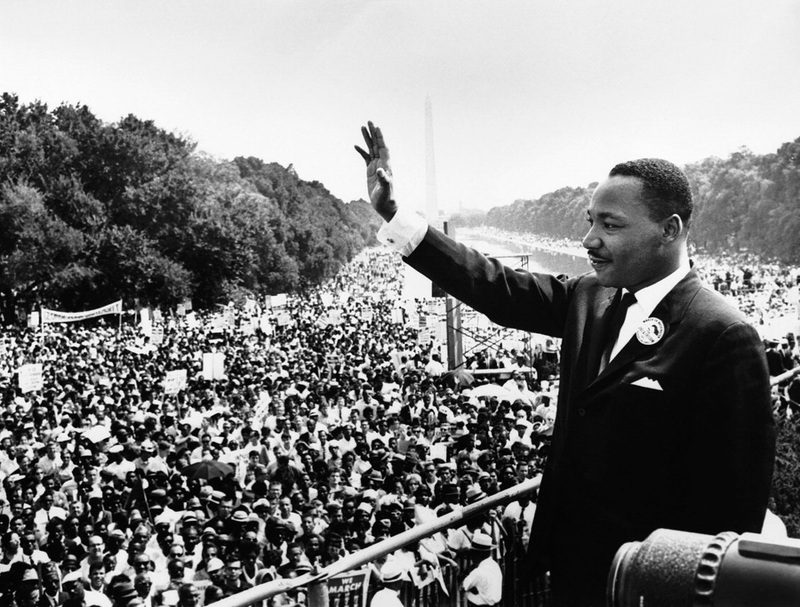 The Aston Public Library will be closed Monday, January 21st, in memory of Dr. Martin Luther King, Jr. 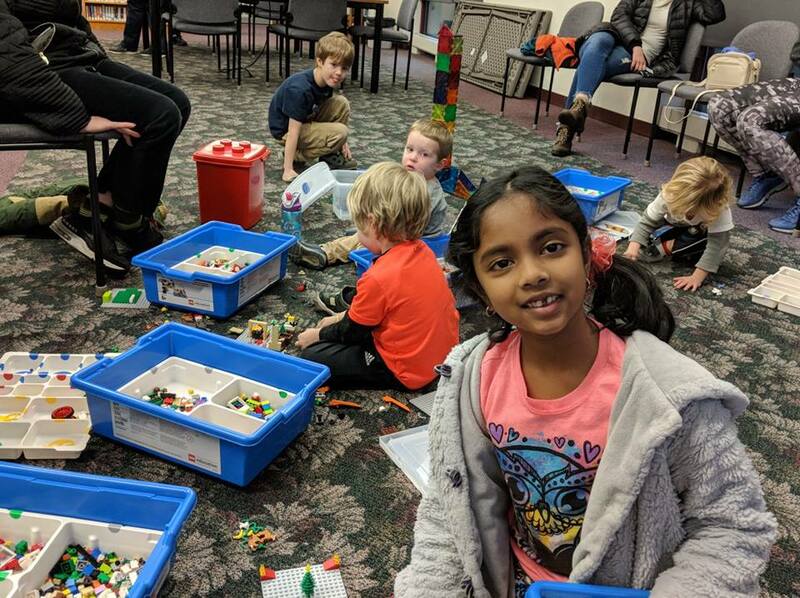 The Aston Public Library is seeking a tech-fluent and interpersonally effective person to provide service to our patrons. Duties include providing all types of service to our patrons, operating our circulation system, and record-keeping. Qualifications: High school diploma or equivalent, strong computer and customer service skills and a love for libraries. Prior library experience is preferred. Job description and compensation details are below. 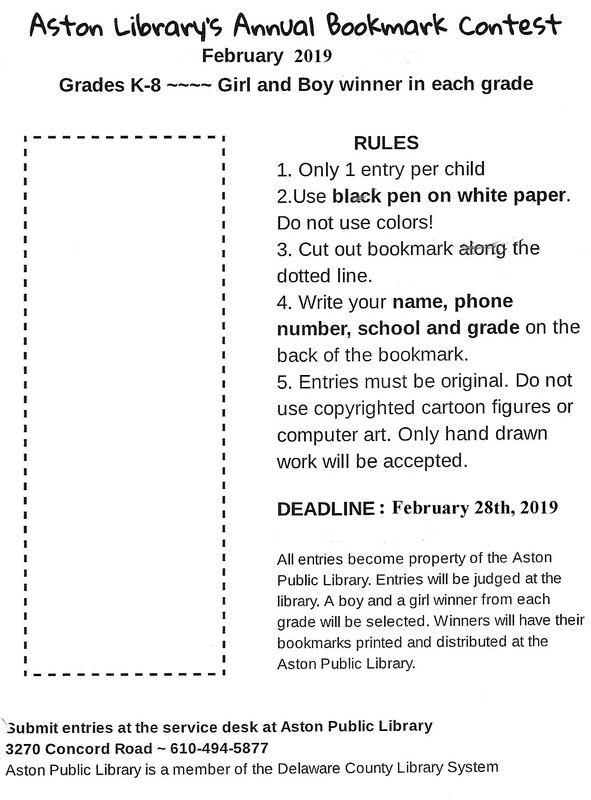 Submit letter of interest, resume and references to Stephen Sarazin, director@astonlibrary.org . GENERAL STATEMENT OF DUTIES: Provides essential patron assistance at the service desk. 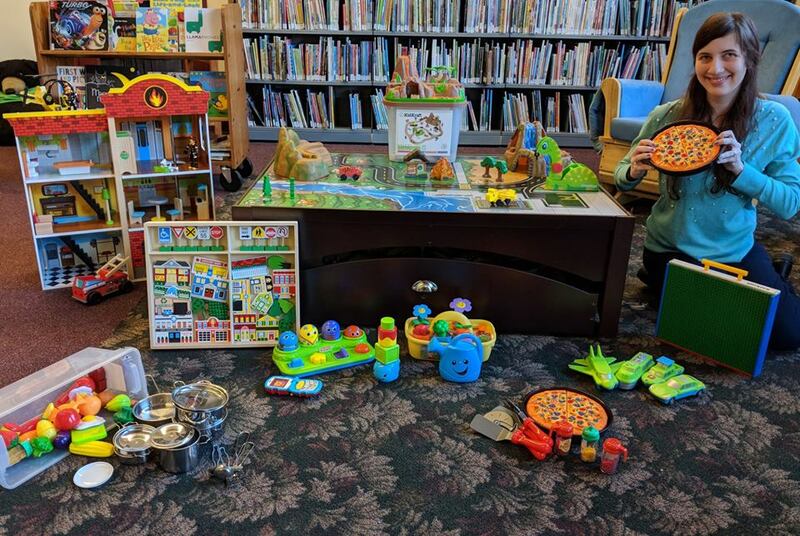 Performs customer service, circulation, clerical and financial tasks, operates a variety of machines and software and assists with reference to help patrons use the library and its services effectively. Reports to the Director. Registers patrons, issuing cards, updating records. Collects monies and issues receipts for all library financial transactions including rentals, overdue fines, lost or damaged materials, donations, book sales, printing etc. Checks out and checks in books. Shelves with 95% accuracy and shelf reads. Knows and correctly executes the opening and closing procedures, including locking the doors, arming and disarming the alarm, collecting and checking in materials from the book drop, pulling requested items from the shelves etc. Assesses materials for condition and refers them for mending or withdrawal. Prepares and mails overdue/reserve notices. Places book requests for patrons. Calls patrons to inform them of requested items received. Troubleshoots computer programs and machines. Conducts reference interviews and assists patrons with reference questions, knowing when to refer questions to the Director. Locates material in the catalog or in the building. Is professional and friendly in person, on the phone or in e-mail. Informs the public of library policies and procedures, including information about their own records or requests. Keeps bulletin boards and displays current. Files records by name or date. Works effectively under stress with the public and co-workers. Communicates well in writing and face to face. Performs essential clerical and math functions–filing, spelling, typing, adding, making change–accurately. Uses the Windows operating system, basic office software, web browsing and search engines skillfully. Shifts from one task to another quickly. Moves book trucks with 25 pounds of weight. Shelves books at heights between seven feet and floor level. Reads small print and computer screens. Handles monotonous tasks with fine detail accurately. Works independently and demonstrates good judgment. PHYSICAL REQUIREMENTS: Moderate physical effort is required to perform duties under typical office conditions. The employee is frequently required to stand, walk, sit, speak, hear, and use hands to operate office equipment, and reach with hands and arms. Vision requirements include the ability to read routine and complex documents and use a computer. SCHEDULE REQUIREMENTS: Must be available to work day, night or weekend shifts. Must be available to work a schedule that fulfills the staffing needs of the desk. Must be punctual and dependable. COMPENSATION: $12.25 per hour. Approximately 20 work hours per week. No benefits provided. CLEARANCES: Satisfactory passage of FBI Criminal Record Check, Pennsylvania Criminal History and Child Abuse Clearances will be required every three years. PROBATION: The position is probationary for one year and non-probationary afterwards. Monday, January 14th at 6:30 pm, we will have a Replica Exhibition and Hands-On Workshop for Children on Ancient Egyptian Culture. 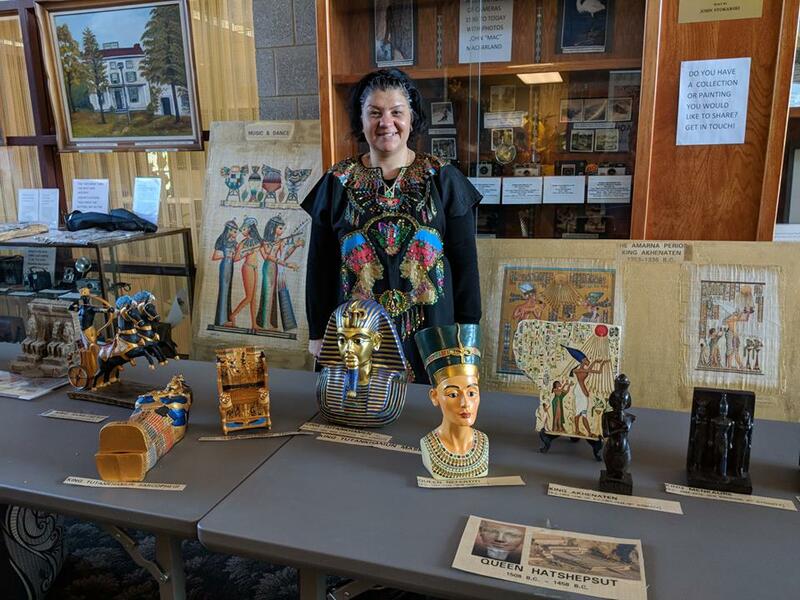 Sherin Motawea will show the kids replicas of Ancient Egyptian artifacts and teach them the art of mummification. For ages 6 & up. Saturday, January 19th at 11:00 am, meet Christine Burke, author of “The Well-Nourished Artist- 8 Ways to Feed Your Creative Soul” Come and participate in a FREE activity from her book that will help you tap into your creativity!! Books will be available for purchase and can be signed by the author. Free Chair Yoga classes will be available on Tuesdays at 2PM for six weeks starting January 8th. Chair yoga is a gentle form of yoga that is practiced sitting on a chair, or standing using a chair for support. Have you always wanted to be an artist? 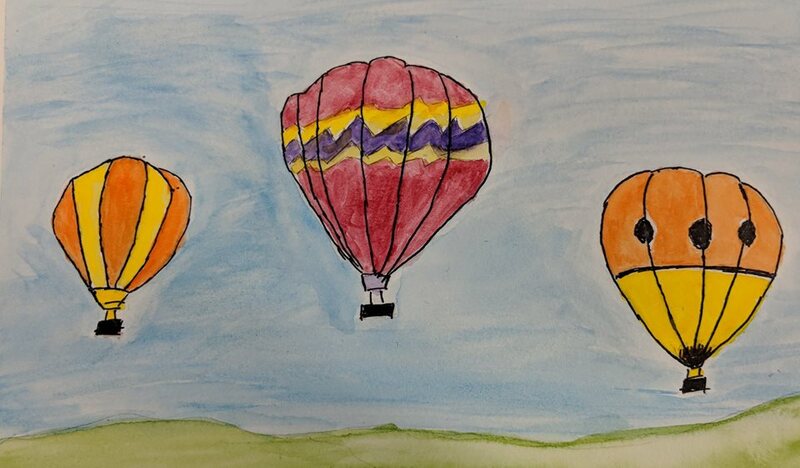 Get on the list for our free painting classes by emailing Debbie at debbie@astonlibrary.org ! Pronunciator is the new language learning system available for free with your library card. Go to http://www.delcolibraries.org and click on “Explore e-Resources” to access the Pronunciator system, which allows you to learn over 80 languages, plus learn English from your native language! Are you looking for a book club? The library book club meets on Thursday the 10th at 1PM to discuss “Saving CeeCee Honeycutt”. Stop by and try it out! Join the Library Movie Discussion Group to view and discuss ” Tully ” on Monday, January 28th at 11AM. Light lunch will be provided. The Aston Public Library Board of Trustees will meet Tuesday, January 15th at 7PM at the Library. The Library will be closed for Christmas Eve, Christmas Day, and New Year’s Day. The Library will close at 4PM on New Year’s Eve. Have a wonderful holiday and we hope to see you again soon! The Aston Public Library will be closed Wednesday, December 19th, due to complications with the work being done on our building. Programs scheduled for Wednesday will be canceled. Sorry for the inconvenience and we hope to see you again soon! The Aston Public Library will be closed Monday and Tuesday due to work being done on our building. Programs scheduled during that time will be canceled.